Mr. Barney C. Brown, age 88, of 151 Woodham Drive, Albertville, died Tuesday, November 13, 2018 at Marshall Medical Center South. The funeral service will be held Friday, November 16, 2018 at 11:00am in the McRae Funeral Home chapel with interment to follow in Hillcrest Cemetery. The Rev. Brent Roe of Mount Calvary Baptist Church will officiate. Visitation is Thursday 6 PM - 8 PM at McRae's Funeral Home in Boaz. Barney was born August 20, 1930 to James Harrison and Viva Ann Brown and raised in Albertville. He graduated from Albertville High School, served in the Alabama National Guard and the US Army during the Korean War, and attended Snead State Jr. College. He was married to Janey Lynn Gamble of Boaz from 1953 until her death in 2011. He was married to Joan Ray Watwood from 2012 until present. He taught Sunday School at Mt. Calvary and First Baptist Church in Boaz. He was a Disaster Relief volunteer for the American Red Cross, serving in New York City following the 9/11 terror attacks and on the Gulf Coast following Hurricane Katrina. 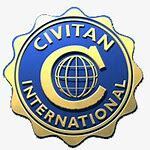 He was active in Civitans International serving as president of his local club, as Governor of the Alabama North District from 1995-1996, and on the International Board 2001-2002. Most of his working career was spent with Republic Steel in Gadsden. He is survived by his wife, Joan, by his son and daughter-in-law Gregory C. and Peggy Brown of North Carolina, daughter and son-in-law, Regina B and David Miller of Harvest, grandchildren: Morgan Brown (Chris), Justin Miller (Brooke), Anna C. Brown, great grandchildren: Shawn A Brown, Marissa Miller and Cam Miller, brother and sister-in law Andy Rayburn and Ruth Brown, sister, Willidean Brown Lynch, and Joan's children, Steve Watwood (Kay), Andy Watwood (Dana) and Kellie W Wakefield. In lieu of flowers the family suggests that donations be made to Mt. Calvary Baptist Church in Albertville, or to Etowah County Red Cross, 405 S 1st Street, Gadsden, AL 35901.